Tag Archives for " Jolina Landicho "
Social media has tilted the marketing landscape, with close to 90 percent of marketers believing in the importance of social media marketing—a practice that saw a spending of close to $10 billion in 2015. And as its reach has expanded, heightened importance has been placed on social media management, monitoring, analysis, automation and content creation. This has led to the development of hundreds of tools designed to help brands and e-commerce ventures cope with the increasingly competitive landscape. More than ever, optimizing your social media presence and understanding both your audience and competitors has become key to improving your marketing strategy. Best for: Facebook, Twitter, Instagram, YouTube, LinkedIn, Google+, etc. Hootsuite allows you to manage all your social media marketing efforts from one dashboard, serving as a both scheduling and monitoring tool. The free plan allows you to manage up to three social media profiles and get basic analytics, while paid plans provide weekly reports and a team management facility that allows you to delegate tasks and send private messages. Digital agency TIS India, likens this social media marketing tool to a pulse monitor for your Facebook account, where you can monitor virtually everything about your Facebook page. But that’s just the tip of it, as it is also a tool with which you can manage virtually all your social media engagement, complete with stats and reporting, as well as the ability to run contests, quizzes, and promotions. Sproutsocial allows you to build and maintain your community by streamlining tasks such as starting, monitoring and joining social conversations, basically providing you with a tool that ensures smarter, faster and more efficient social communications. It also provides analytics that allow you to measure all your social media marketing efforts. Crowdbooster gives you real-time data from your Facebook pages and Twitter accounts, which include number of likes. Comments, shares, retweets, replies, potential impressions, reach, followers, among others. This social media marketing tool also allows you to give your clients access to the dashboard, so they don’t have to wait for their reports. Tailwind positions itself as the smartest way to schedule on Instagram and Pinterest, saving users time with tools such as bulk image uploads, multi-board pinning, drag-and-drop calendar, along with a slew of shortcuts designed to unclutter your busy schedule. This social media marketing tool also automatically optimizes your Instagram and Pinterest schedules, posting when your audience is most engaged. Oktopost is a social media management tool that tracks each lead you generate, and provides all the pertinent analytics to help you understand which network, profiles, and posts are most effective to your social media marketing efforts. Discover.ly requires users to download a Chrome browser extension, which will then allow you to access additional information about common social media connections with the people they email. Discover.ly enables users to see Facebook and LinkedIn information from Twitter, for example, or see mutual Facebook friends with a LinkedIn contact. As noted by GetApp, Zoho SalesIQ is a website visitor tracking and live chat software designed for small to large companies to improve customer engagement on their sites, as well as identify sales opportunities by providing detailed visitor information that can be used to identify prospects and chat with them at the most optimal time. Atomic AI identifies and measures the impact of language on your marketing communications through the use of artificial intelligence, advanced mathematics, linguistic analysis and machine learning technology, which lead to reduced time, effort and costs involved in creating all forms of content. This social media marketing tool tells you who your Twitter followers are, their locations and when they tweet. Followerwonk also allows you to expand your social graph by allowing you to search for Twitter bios and compare accounts, enabling you to target new influencers. You are also provided actionable visuals to compare your social graph with others, and allows you to easily share your reports. In brief, Buzzsumo helps you analyze which content performs best for any topic or competitor, while also enabling you to find key influencers to promote your content to. Users have considered it an important tool for content marketing and SEO campaigns, with its ability to quickly identify what content works well in which industry. HowSociable is a social media monitoring and tracking tool that provides you with a simplified way to measure your brand impact on the social web. As noted by blogging entrepreneur John Paul Aguiar, HowSociable gives you a “magnitude score” of 1-10 indicating the level of activity around your brand across the social web, using the 36 most popular social media sites. It then breaks down your score for the different social media platforms so you can find out where your social media marketing efforts are working, and where you need to put in more work. Tweetdeck is a Twitter tool designed for real-time tracking, organizing, and engagement. It allows you to manage multiple Twitter accounts, schedule tweets for future posting, build tweet collections and view multiple timelines in one interface. Simply Measured aids you social media marketing efforts through social analysis and monitoring, which allows you identify which of your content and campaigns are working – giving you a full view across major social channels that is key in making better marketing decisions. Iconosquare helps you track all your Instagram accounts in one place, providing you access to up-to-date insights on all your Instagram activities, which allows you to maximize your performance. It also gives you access into audience growth, including geo-location and popular followers—vital data that help you grow in Instagram. Audience Insights provides a wealth of demographic and behavioral data about both your and your competitors’ audience on Facebook. As noted by HubSpot, while this social media marketing tool was initially created to enable advertisers to target their ads more effectively, you can also use Audience Insights to help you build stronger buyer personas and create better content. CoSchedule’s Headline Analyzer is a free online tool that helps you write headlines that drive traffic, elicit more shares and give better search results. It does so by rating the quality of your headline draft and breaking it down to give you ideas and tips on how to write it better while providing analysis on word use, headline length and choice of words. Best for: Facebook, Twitter, Instagram, Pinterest, Tumblr, etc. Canva is a social media marketing tool that helps you create various types of content easily and consistently with its convenient drag-and-drop feature and templated professional layouts. As noted by Small Business Trends, from pre-sized social media images and header templates, to documents and presentations, Canva, helps you create engaging content for virtually everything you need. Best for: Facebook, Twitter, Instagram, Pinterest, etc. In a similar vein, Pablo is a tool that helps you create beautiful images designed to help increase your social media engagement. With over 600,000 images and 25+ fonts to choose from, you can create the perfect size and format for virtually all social media networks. Depending on what you feel you need for your brand, there’s a social media tool out there just waiting on you. With most of them offering free trials, you can get a feel of how they can help your business at virtually no cost. Just be sure to measure their efficiency through analytics to maximize your free trial and have a solid basis before purchasing any of their services. See what they can do for your brand today! 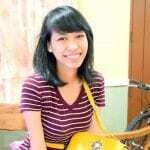 Jolina Landicho is a freelance writer and marketing specialist working with various brands online. She is devoted to helping businesses bridge relationship gaps and creating new branches in the online marketing sphere.